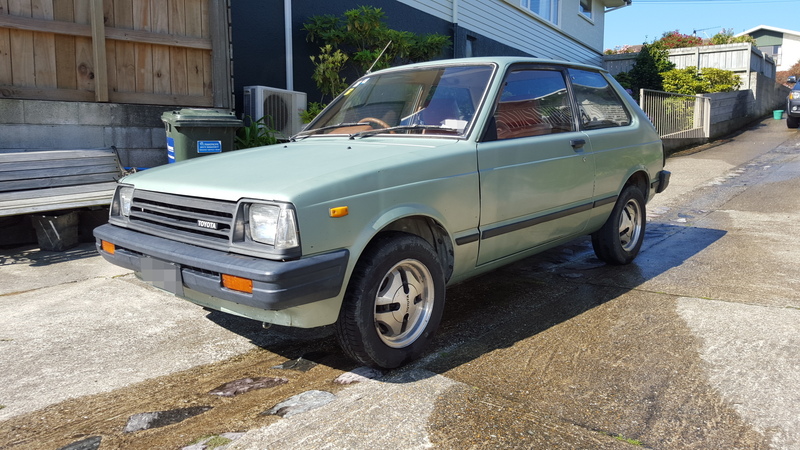 DIYEFI.org Forum - View topic - Fred's 1983 KP60 Toyota Starlet! 39th! Many thanks to Dave for coils/leads, John for assistance, Rob for assistance and companionship, Ned for coil docs, Cam for engineering assistance and fixing the wiring to be correct, Wife for tolerating the fleet, etc. Youtubes to come tomorrow after sorting out the lack of vacuum and dialing in the base timing more precisely and fixing a loose fastener on the engine front cover. For now, here's a grossly oversized photo to give the thread a little colour! Re: Fred's 1983 KP60 Toyota Starlet! 39th! KP FAIL success! Thanks for having me along on the trip. Fun little car with an exciting future ahead. Cheers! Sorry I didn't wait till you were around to sort out the issues.